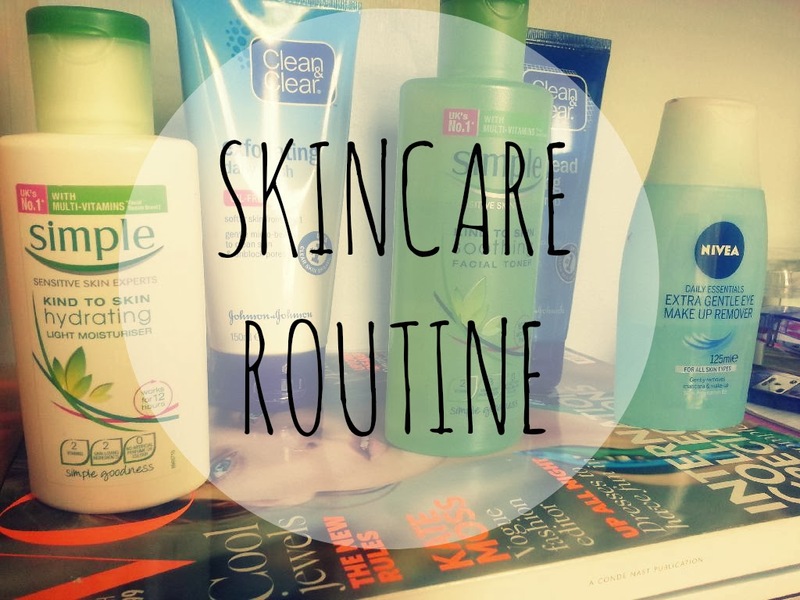 Skincare Routine! | RAWR BOWS. Hello there! After months of trying to get into a skincare routine I've finally made it! My skin has never been bad so I never took care of it but I decided it was time to look after it as it was starting to get worse (probably due to my student diet... chocolate is too cheap). Here's what I've been using for the last few months: Right before going to bed or after I've taken a shower I use my Nivea Make-Up remover to remove any make up left as I hate when you wake up with panda eyes... not very cute, huh? I then use my Clear and Clear exfoliating daily wash to get rid of any dead cells. It makes my skin feel so soft and fresh, it's amazing. And it's not harsh on your skin at all so you can use it twice everyday if you want to. Then, I use my Clear&Clear Blackhead Clearing. This is a litte more harsh on my skin so I wouldn't recommend using it twice a day. When I first bought it I could really see a difference on my nose, I had less blackhead but I can't really see it now. So I am on the hunt of a new product to get rid of my beautiful blackheads! Most days I use my Simple Toner after exfoliating my skin, I don't really know what toners are for to be honest but it makes my skin feel fresh and more tight. If any of you know what they do please let me know, would be quite useful! haha! Finally I apply my Simple Rich Moisturiser. This is a very thick and rich one and I only use it right before going to bed as it leaves my skin all shiny but it really does its job.